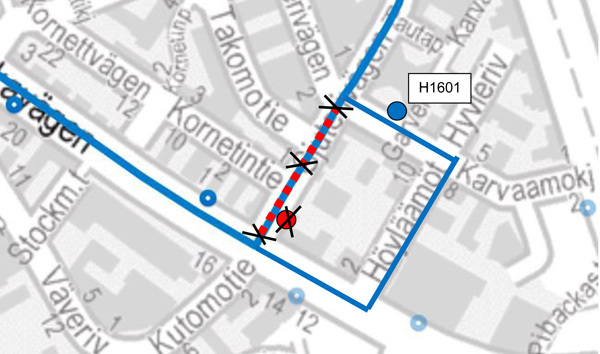 Helsinki bus route 54 will be diverted from 20 July because Valimotie will be closed to traffic between Pitäjänmäentie and Karvaamokuja due to construction work. The bus will run along Pitäjänmäentie, Höyläämötie, Karvaamokuja and Valimotie. The ”Valimotie” (H1601) bus stop located on Valimotie will be relocated to Karvaamokuja. I have checked this route. I have also checked at http://www.writemyessay24h.org/writing-essays-for-money and they are giving great options.